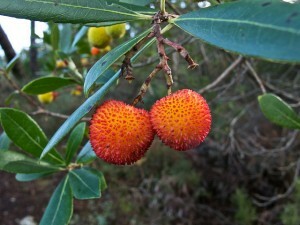 If you are a visitor to Casal it is compulsory to go on a hike to the Fragas de São Simão (St. Simon’s Crags). 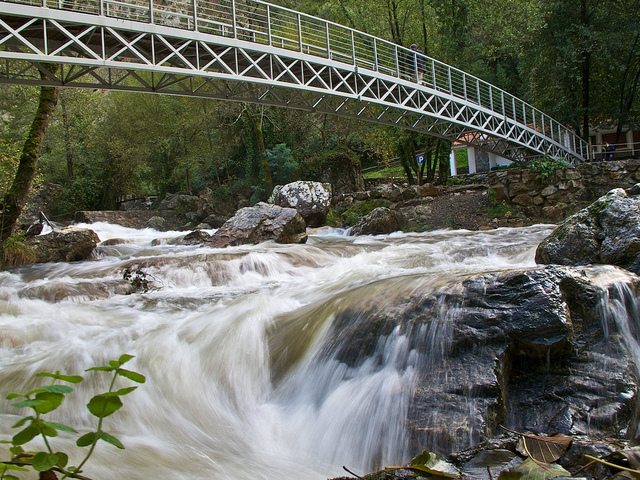 It is unquestionably the best way to discover the charm and beauty of the area and the spectacular nature and a wonderful way to get a little exercise and some healthy fresh air. Plan for at least a full morning or a full afternoon of leisurely walking (the whole day is even better) and, if time and temperature allow be sure to bring along the necessities for a refreshing swim. 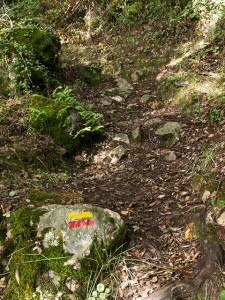 All of the trails are well marked and you can choose from a variety of routes, some short and some much longer. 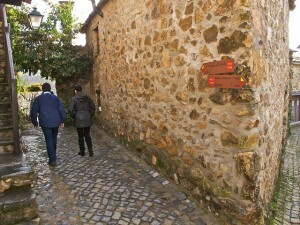 The trail begins at the middle of the village’s main street on the left passing in front of the Casa da Lura (the Warren’s House). Be sure to stay on the trail at all times in order to avoid getting lost. At the top of the trail you’ll enter a patch of eucalyptus trees interspersed with pine trees that will lead eventually to what still remains of the native wood of oaks and chestnuts. Walk at your leisure and enjoy the beauty of this retreat, the colours, the intricacy and magnificent size reached by some of the trees … worthy of many photos! 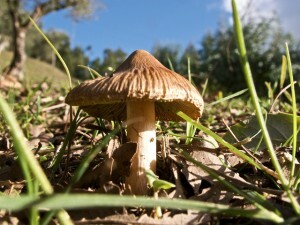 Be attentive to the smallest things too, the mushrooms, various species of moss, the many wild plants … savour the journey. Pay attention to the signs on the trail and you’ll soon reach Ribeira de Alge (Alge’s Stream). Stay left of the stream walking along the trail until you get to the bridge. 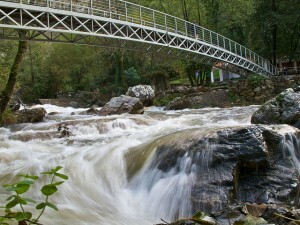 From the bridge contemplate ancient visitors to this magical place who once crossed the river as you are doing. If the moods suits you, take a swim, explore the corners of the river beach or maybe have a drink at the bar nearby (only in summer). The more adventurous with suitable footwear can explore the stream bed wading toward the spring (somewhat more challenging but easily handled by those with experience). Rock climbers with the right equipment have a variety of challenges in the canyon to conquer: if climbing we strongly advise you to contact a local experienced company to help you do it safely, like Go Outdoor. After you have had your fill of this wonderful canyon you can choose to return by the same route or continue the route as marked (another 45 minutes at a leisurely pace). Take your time, the path of cobblestones is a bit steep and the arbutus trees are very photogenic. 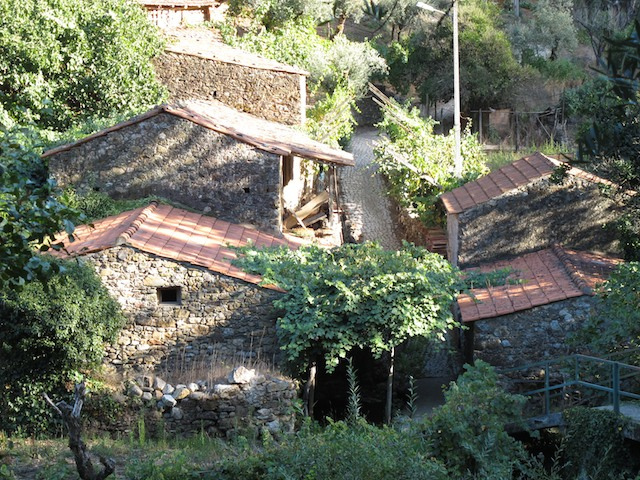 Along the way, you will pass through the small village of Além da Ribeira which still has ancient water mills in operation. If you are lucky enough to see someone ask if you can see the water wheels and be sure to buy some flour milled by the ancient millstones that are powered by the water from the stream. The trail carries on, often submerged in the thick woods, and sometimes snaking along the banks of Fato’s stream. 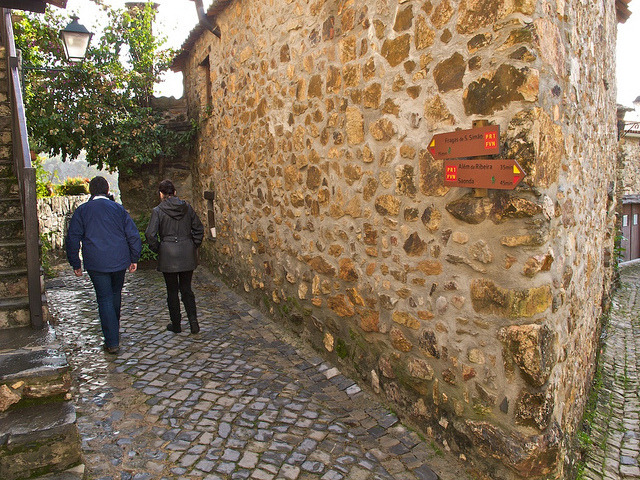 Before you know it and far too soon you will be back at your starting point – Casal de São Simão.